Description: Our staff has a firearm expert ready to provide the education you need whether you are a new firearm owner or a competitive shooter. The range is open to the public with memberships available. 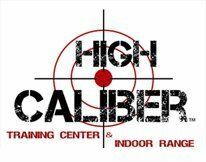 Contact us today to learn more about our firearm training courses! !